Will there be a 70th Anniversary Klipschorns? or Cornwalls/Heresy? Are these NEW? They sure look real gorgeous. Care to share more information - where to read them up! I am really intrigued by them. 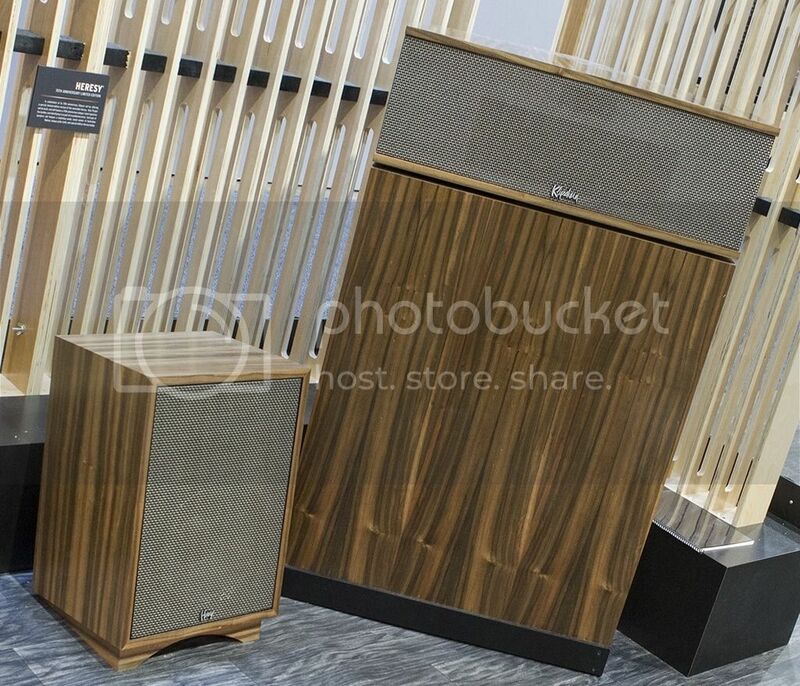 Klipsch displayed them at CES this last week. Do you know when they will be available to the public and how much are they asking them for? I've tried searching their website, but no news. If you have, I'll be glad to know so I can start planning how to get myself a pair (the smaller Heresy's would be an easy "target"). I will wait for the news as over here, dealer not pushing ... So not much information.